In September 2015 when I last wrote about the JPAC/DPAA mission in Not Forgotten, we were still fielding some recent and resubmitted family DNA reference samples to help identify remains found on Wake Island in 2011. The remains were linked to the October 7, 1943, massacre of American POWs on Wake Island, and I have helped to locate qualified DNA donors from the families of the 98 victims. Working with the Armed Forces DNA Identification Laboratory at Dover AFB, we found a few more donors this winter. To date, 71 families have submitted DNA (in most cases multiple samples); of the remaining 27, 14 have no known qualified donor, 6 have declined to submit, and 7 families could not be located. To date, as far as I know, none of the families have received notification of a positive identification. Some family members have expressed frustration with the long process and their inability to get answers. While I counseled patience in the first years, I too have begun to wonder if and when something will come of our efforts. I say that with all due respect to DPAA, knowing their commitment to accuracy of identification before notification of families and the difficulties of dealing with co-mingled and environmentally compromised remains. 1981 their fellow POWs who survived the war were granted USN discharges and veterans’ benefits in recognition of their service in the defense of Wake Island. I have argued that the 1943 massacre victims should qualify as navy personnel and their families deserve to receive information on the DNA project through the proper channels. In response to my queries, a DPAA official has informed me that “If family members are not getting information they can always go to our web site at DPAA.mil and click on the contact us button, put in their question and it will come to us for a response.” So that’s all we have. Since I am not a family member of one of the victims myself, I cannot – and would not – request specific information on any case. I did go to the www.dpaa.mil website yesterday to see what other information I could find to help the families in their search. 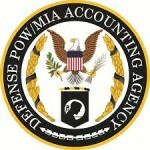 The website states that the Defense POW-MIA Accounting Command, established in January 2015, reached full operational capability a month ago, January 8, 2016: the completion of reorganized accounting organizations (including JPAC) into a single unified defense agency in the Department of Defense. The reorganization promises greater effectiveness and efficiency. The case management system that communicates case information to families has “begun development, but is expected to take several months to become fully functional,” which may explain the deflected inquiries. Elsewhere I found lists of WW2 service personnel not recovered after the war, including a civilian category (which does not include any of the Wake victims, probably because they were all assumed recovered from the co-mingled mass graves and reinterred in Punchbowl cemetery). Though we anticipated that families would receive direct contact regarding the results of the Wake mission, lack of communication doesn’t necessarily mean no DNA match. I hope this will help the families get a good start on follow-up inquiries. To my other readers: thanks for your patience.